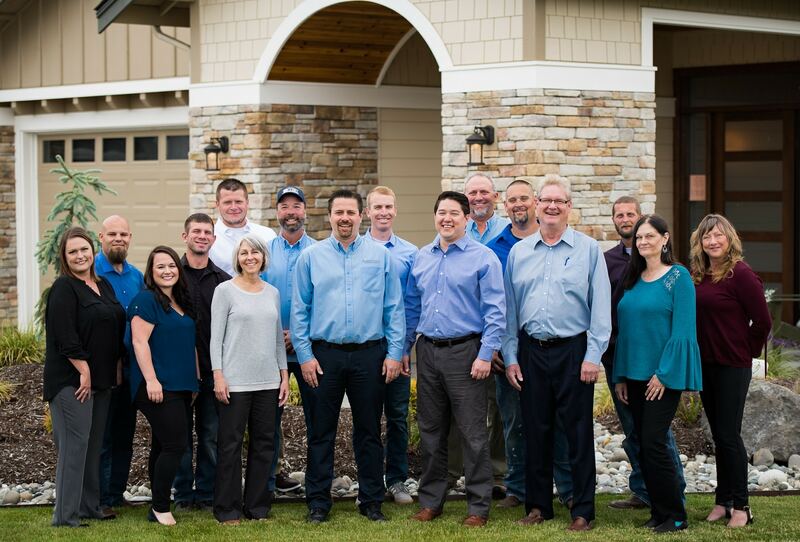 Founded more than 35 years ago by Rick Anderson, Anderson Homes is dedicated to building homes of uncompromising quality, superior design and enduring value. Anderson Homes has built over 600 homes locally since 1981, and is the premier custom home builder in all of Sequim and Port Angeles. Our commitment to our homeowners is the heart and soul of our business. When you choose Anderson Homes as your homebuilder, each of our employees will approach the construction of your home as if it were their own. Our reputation is something we have earned, one home at a time. With each new home, we strive to strengthen this important bond of trust that unites us with our customers. Dedication to superior craftsmanship and a commitment to our customers has made us the choice of over 600 homeowners. 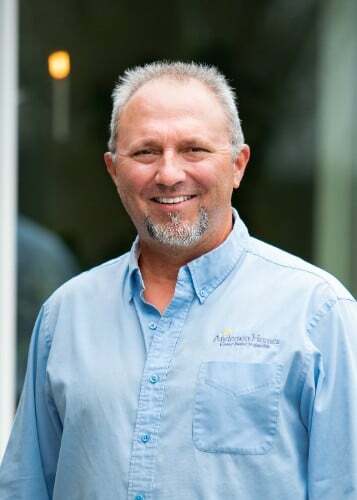 Rick is the founder and president of Anderson Homes. He oversees design and material selection as well as the entire building process from the moment we meet our clients until they are handed their keys. Rick handles the budgets for each project personally, tracking costs to ensure homes are built at their contract price. 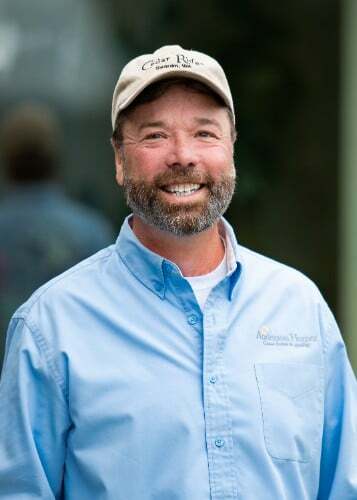 As a second-generation builder, Rick grew up in the construction industry building homes with his father in Seattle and the Olympic Peninsula. 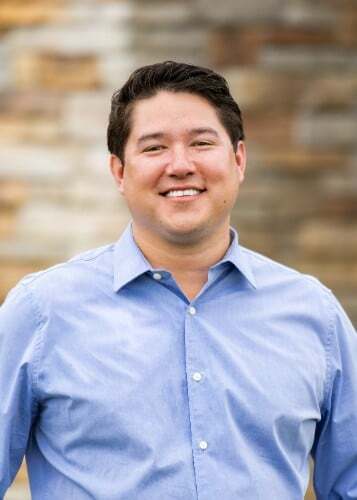 After spending his high school summers working in different fields of the construction industry he attended Washington State University where he received a degree in Business Administration with a focus in Finance. While being detail-oriented and a stickler for cost control has kept his projects on-time and on-budget, Rick attributes his success to his desire to treat people with dignity and respect. Caleb focuses on sales development and operations management. He works closely with clients to transform their vision into a finished home. As a LEED Accredited Professional with the United States Green Building Council, Caleb ensures that our homes are environmentally responsible. Like his father Rick, Caleb spent his early summers working in the construction trades in various roles, learning different aspects of the construction industry. In 2007 he graduated from the University of Washington with a B.S. in Construction Management. 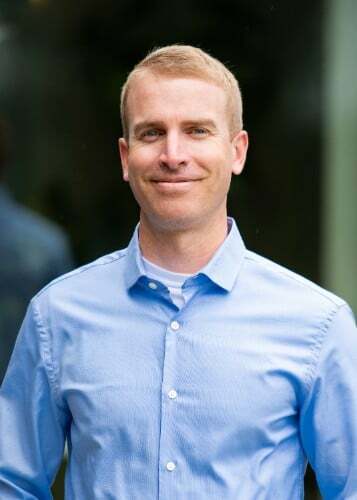 After college, Caleb worked for a general contractor managing large commercial projects in Seattle and Bellevue before returning to the Olympic Peninsula to work with Rick in the family business. In his free time, Caleb can be found rooting for the Huskies (much to the dismay of Rick, a life-long Cougar). 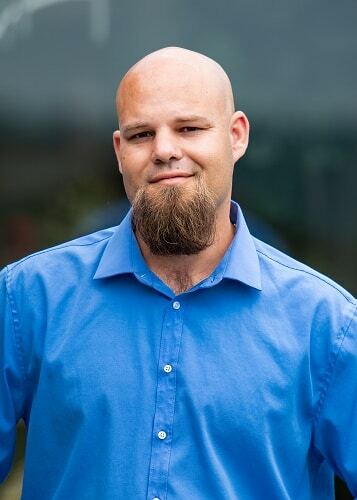 Caleb is a Certified Contract Manager through the University of Washington’s Professional Education Program as well as a Certified Aging-in-Place Specialist through the National Association of Home Builders (NAHB). It is Nick’s responsibility to make sure everything is running smoothly for the superintendents in the field. His duties are all-encompassing and include reviewing house-plan prints, planning the timeline for each project, and scheduling subcontractors. Nick has worked as a Superintendent and Project Manager since 2010 and spent six years before that learning the trade from the ground up. Prior to moving to the Olympic Peninsula in 2012, Nick lived and worked in Eastern Washington building wineries and custom homes. He especially enjoys finish carpentry and feels priviliged to build dream homes for our customers. Nick has attended a variety of classes and seminars on leadership, code compliance, and best building practices. His terrific customer service, easy-going manner, and attention to detail are a definite asset as the manager of multiple, simultaneous jobs—as well as to our company. Nick lives in Sequim with his wife and son, and spends his free time coaching Nick Jr’s sports teams and rooting for the Seahawks. Having developed a diversified set of skills from working in the new home building industry since 2002, Trisha has her hands in a little bit of everything at Anderson Homes. 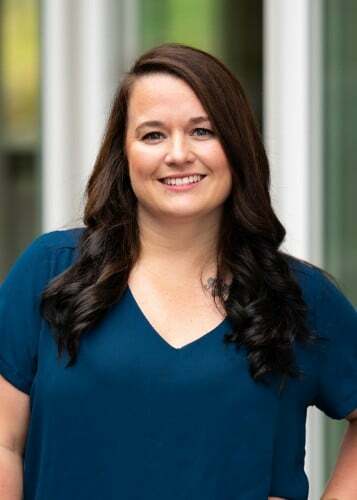 She not only manages the accounting and office functions, but also assists the company in a variety of other operational areas including Accounts Receivable, Human Resources, and Plan and Project Management. Trisha is a valued participant in our strategic initiatives and company management. She follows every project from beginning to end, tracking finances, contract completion and compliance records. A native to the Olympic Peninsula, Trisha is an avid hiker, fisher, camper, and ATV rider. When not keeping Anderson Homes projects running smoothly, she can be found taking full advantage of the Pacific Northwest’s outdoor activities with her husband, Shane. Garret learned the construction trades during his youth as he worked alongside his father remodeling family investment properties. He earned a Bachelor of Fine Arts in sculpture from Fresno State University, but as Garret says, “Art didn’t pay so well.” He transitioned from sculpting inanimate art objects into sculpting homes as a General Contractor from 1993 to 2015. Garret envisions his role with Anderson Homes as catalyst and collaborator; he is responsible for delivering the owner’s vision. It is this personal connection to the owner’s dream that brings Garret his greatest reward. His artistic gift supports his endeavors with a keen eye for detail and concern for aesthetic that translates into a high standard of excellence in his work. Garret continues to pursue his artistic talents as a working artist when not stewarding a homeowner’s dream. He also enjoys fishing, working in the yard, and spending time with his family. 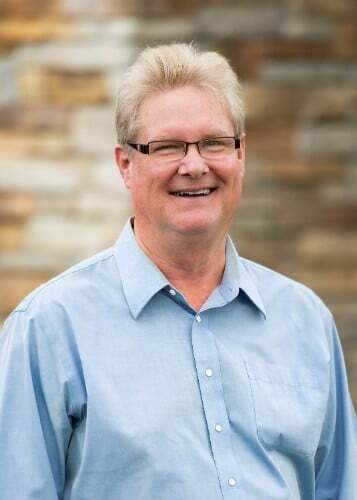 John began his career in the residential home building industry in 1989 in Mill Creek, Washington. He says he’s had the pleasure of building dreams ever since—over 600 of them across the Pacific Northwest. Construction was originally intended to be a temporary job while attending school in Small Business Management, but he found he enjoyed the challenges, journey and satisfaction of building something from the ground up. He loves juggling the demands of multiple projects and moved quickly into management, overseeing the construction of 30 to 60 homes a year on average. His reward is delivering a beautiful new home to its owner and witnessing the excitement it creates. John grew up on the Peninsula and considers it a dream come true to be back home and working for a company with integrity so he can do things right. Give Stuart a complex problem to solve and he’s happy; multifaceted and interdisciplinary challenges fulfill him. In 2011 he graduated with a degree in Business Management from California Polytechnic State University (Cal Poly). There he responded to a sense of duty to country by minoring in Military Science and joining Army ROTC, a decision that set him on a path for leadership. After commissioning to active duty, he served as a Platoon Leader in Afghanistan and Fire Support Officer, responsible for Artillery and Air Support Integration, ultimately reaching the rank of Captain. When ready for a new success story at the end of his contract, Construction Management offered a natural application for his interests, training and project management skills. He traded his military prestige and paycheck for an entry level position but quickly returned to managing the details. Stuart joined Anderson Homes in May 2018. He rewards himself for a job well done by hiking, skiing, water sports and boating. Christy Fulmer has spent her career helping people find their way home. After moving to the Peninsula at just 19 years old, her entrepreneurial spirit led her into real estate sales. 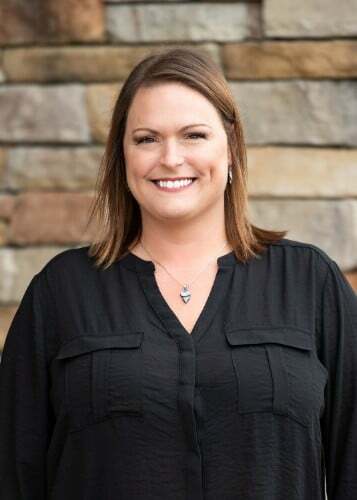 She developed a niche in the sale of new manufactured homes and was eventually recruited by a dealer to be their Sales Manager, overseeing a sales team for a new development. Helping people who might not otherwise afford home ownership secure their future was a rewarding effort. Christy’s career continued to grow, expanding into custom homes for a builder for three years before joining the Anderson Homes team in 2016. But Christy’s heart for service hasn’t changed with the higher price tag of the homes she represents. She knows that embarking upon building a dream home—especially in one’s retirement years—is an exciting and significant decision. She finds personal joy and satisfaction helping her customers do so with confidence. 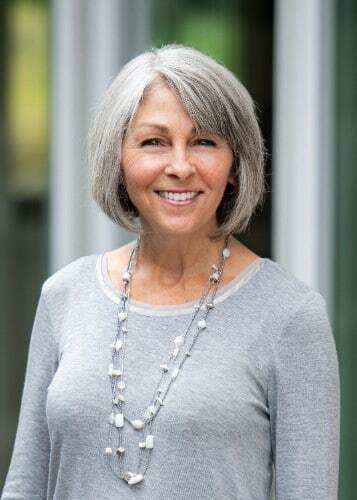 When not making new friends at Anderson Homes, you’ll find Christy enjoying her family and the magnificent Olympic Peninsula. Kassie Dotlich moved to Sequim with her family in 1999. Captured by Sequim’s idyllic small-town atmosphere, she chose to build her life here. And Anderson Homes is happy she did. Kassie joined Anderson Homes as Accounting Clerk in 2018. With bookkeeping experience and her passions for puzzles, organizing and creating systems for improved efficiency, she’s perfect for managing the vast amounts of receivables and payables that pass across her desk. Prior to working at Anderson Homes Kassie enjoyed supporting Sequim working at the Chamber of Commerce. She says she feels a similar reward in her role with Anderson Homes—that she’s still a part of building the community she loves as we welcome people home. 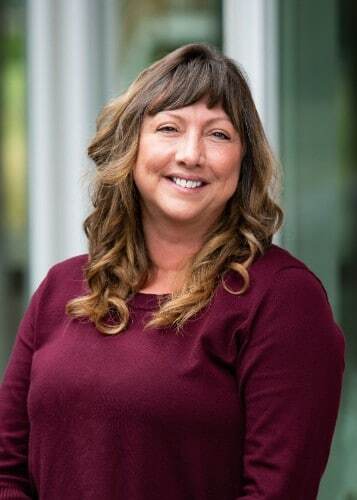 When she’s not busily keeping Anderson Homes accounting in order, you will probably find Kassie out on the Olympic Discovery Trail with her dog, Indiana, enjoying the beauty of her Olympic Peninsula backyard. Some people are just naturally mechanically-inclined. Josh is one of them. At five years old he decided to dismantle his family’s lawn mower and put it back together again. It still worked. 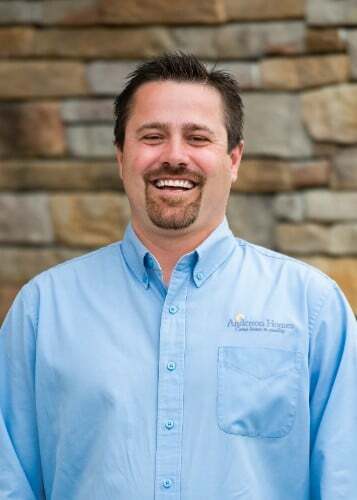 Josh applies his natural talents as the Anderson Homes Warranty and Safety Manager to ensure that the quality Anderson Homes promises is achieved before and after the customer takes occupancy. Josh’s inherent skills were honed during four years serving our country as a Navy Aviation Structural Mechanic—a member of a squadron responsible for taking beat-up planes and making them work like new again. Josh says his favorite thing to do is put a smile on people’s faces. Correcting an unanticipated problem helps him do just that. Josh has lived in the area most of his life and enjoys kayaking, gardening and rebuilding old cars with his father. After completing a Bachelor of Fine Arts in Voice, Catherine set her sights on a stage career. But a life event precipitated a major detour that led her through Graduate studies in Voice, Interior Design studies, and finally a 25-year career as a residential Realtor in Sedona, AZ. Driven to succeed and using her natural organizational and administrative skills, she achieved award-winning performance and community recognition for her professionalism and expertise. Highlights include over 500 transactions, participation as Development Partner & Sales Manager in a 182-unit patio home development, and significant activity in the multimillion-dollar market segment. Catherine hopes to support others in their success by applying her sales and marketing skills to her position with Anderson Homes. A consummate Creative, Catherine sings with the Northwest Women’s Chorale, pursues interior design through her own company, and unplugs with meditative walks on the beach. She hopes to one day promote the screenplay and book of spiritual essays she’s written. Anderson Homes only works with the best of the best subcontractors for all of the specialty work in your home. Since 1981 Rick has refined whom he works with, and because Anderson Homes demands the highest quality workmanship in its subs, you get the highest quality custom home.